The following questions are the most frequently asked questions we have received from clients or potential clients concerning Pennsylvania medical malpractice. What is Pennsylvania medical malpractice? What should I do after a mistake has happened? How do I get the medical records? Should I go back to the same Doctor? How do I find the best medical malpractice lawyer? Will you review my case for free? What is the standard contingency fee agreement? Do you try to settle before filing suit? Do I have to pay any costs? What is the “Certificate of Merit”? Do you have access to physicians for review? Why Should I choose Flaherty Fardo? Question 1: What Is Pennsylvania Medical Malpractice? Medical Malpractice is the deviation from the ‘acceptable standard of care’. The STANDARD OF CARE is the degree of caution or skill of which we expect and require from healthcare providers in our community. A physician must have the same knowledge and skill and use the same care normally used in the medical profession. A physician whose conduct does not meet this professional standard of care is negligent and should be held responsible. Medical Malpractice is based upon holding doctors or healthcare providers responsible when the standard of care is breached. The STANDARD OF CARE is a subjective standard. Therefore, doctors can often disagree about what is expected in providing medical treatment. Malpractice is believed to be the third leading cause of death in the United States behind heart disease and cancer, according to an article in the Journal of American Medical Association. Individuals in Pennsylvania are entitled to compensation when a physician’s negligence causes their injury. Our firm routinely reviews a wide variety of medical malpractice cases including surgical errors, hospital mistakes, misdiagnoses, plastic surgery errors, and lack of informed consent cases. If you have any questions, please call us at 412.802.6666 and speak to an attorney directly. Question 2: What Is The Statute Of Limitations? The statute of limitations in Pennsylvania is two (2) years from the date of the harm suffered. There can be a tolling (or extension) of the statute of limitations of two years in specific cases where the party was unaware of the negligence or harm suffered until a later date. Example : If a patient undergoes a knee surgery, and the doctor operates on the wrong knee, then the statute of limitations would most likely be two (2) years from the date of the surgery, since the patient should have known of the mistake on the day the surgery occurred. However, if the doctor’s error was not discovered until a later date (even years later), then the statute of limitations does not begin to run until the patient knew, had reason to know or should have known of the alleged malpractice and the injury. Question 3: How Do I know If I Have A Case? Bad outcomes do not always mean a person has a lawsuit. A mistake by a doctor does not always mean that there is a case. In Pennsylvania, injured persons have a medical malpractice case if and only if they can satisfy three elements. There was a deviation from the acceptable standard of care AND another doctor in the same field verifies the deviation in writing. The deviation directly CAUSED harm to the patient. It is not always possible to know whether a medical malpractice case exists until the records are obtained and reviewed both by the lawyers and doctors. However, common sense will often dictate to people whether a medical error happened and it is very important to know what to do if you are suspicious as to whether malpractice occurred or not. Question 4: What Should I Do After A Mistake Has Happened? If you think a mistake has happened based on the actions of a doctor or hospital, you need to do 3 important things. You need to ask the doctors and administrators what happened. This can be an effective tool in gathering information and often doctors will be more honest immediately upon the event happening than they will be later. Ask direct questions and take notes. You need to request the medical records as soon as is practical. Medical records can be changed or omitted. If you believe an error occurred, you are always better off requesting the records immediately at the hospital or at the doctor’s office if possible. You need to consult a medical malpractice attorney as soon as possible. The days following a medical mistake are crucial in gathering and preserving evidence. As the memories of a witness may fade, and medical records may get misplaced, it is important start investigating what happened as soon as possible after the event. Question 5: How Do I Get The Medical Records? Obtaining your own medical records should be easy. It is not. Doctors and hospitals often have excuses of why they are unable to timely forward copies of patients medical records. Depending upon the facility, it is always better to try to obtain copies of the medical records at the time of treatment. Speak directly to the office manager or to the medical billing unit at the hospital. You will need to complete a HIPPA compliant medical record release authorization if you would like your attorney to request these records on your behalf. Question 6: Should I Go Back To The Same Doctor? We never give medical advice. If you believe that a specific doctor can give you or a loved one the best medical care, then you need to do what is best from a health perspective. However, from a legal perspective, we do not recommend continuing treatment with a doctor that you believe may have committed malpractice unless necessary from a medical standpoint. The logic is simple. First, why would you want to continue treating with a doctor that you believe committed malpractice? Second, juries are skeptical of patients who sue the same doctors that they continued to treat with. Choosing a doctor is a personal decision, and one that should focus on health and safety first and foremost. However, if you are pursuing a lawsuit, you should be careful about treating with the doctor you are suing. Question 7: How Do I Find The Best Pittsburgh Medical Malpractice Lawyer? No all lawyers are equal, and this is especially true for malpractice lawyers. To find the best malpractice attorney, you need to research lawyers, interview several lawyers, and make sure your lawyer has the time and specific experience to handle your case. Here is some advice on finding the best medical malpractice lawyer. Question 8: Will You Review My Case? Our screening process starts with an interview by an actual lawyer. If we believe there is merit, we will offer to review the medical records and have the records reviewed by a doctor. there is no obligation during the review process and typically, we only offer representation if a doctor is willing to agree that there was negligence. In addition, we must be able to determine that the negligence caused harm to the patient. If we accept your case, we advance 100% of all costs, expert fees, deposition costs, the costs of obtaining your medical records, and any other case expenses and are only reimbursed if we are successful in recovery. If you would like a free consultation, please call our offices at 412.802.6666. Question 9: What Do You Charge Me? Our representation for medical malpractice and/or medical negligence cases is based on a contingent fee structure. There is absolutely no fee unless we obtain recovery for you. We advance 100% the costs, including experts, filings, and depositions and are only reimbursed from the client’s share if we are successful. If we represent you or a loved one in a medical malpractice case, you can rest assured that we cannot make money unless we obtain monetary recovery for you or our client. Our Pittsburgh law firm advances substantial sums of money for each case with absolutely zero financial risk to our injured clients. If you are injured, we will make any necessary accommodations to offer you the most convenient consultation possible. Whether you are at home or in a hospital, we will listen to the situation which caused your injury. Question 10: What Is The Standard Fee Agreement? The standard fee for medical malpractice cases is 40% of the total recovery received. It is important to understand that any costs advanced by the lawyer are typically deducted from the client’s portion of the recovery. Clients are never responsible for out-of-pocket expenses unless there is a recovery. However, clients are encouraged to keep track of costs as litigation proceeds so that they are aware of the deduction which will happen from their final recovery. Fees for injured minors will often be reduced. Question 11: Do You Try To settle Before Filing Suit? Not typically. Only if the case is very clear on liability will we consider resolution prior to filing a lawsuit. We believe that the value of the case increases once the complaint is actually filed. Also, you can always speak concerning resolution once the case is actually filed, and then the defendants better understand the allegations and injuries suffered. Ultimately, it is the client’s decision on whether or not they would like to settle at certain points throughout litigation. Our job is to provide options and advice. However, the final decision to settle or go to trial will always be that of client. We can only make an informed recommendation. Question 12: How Long Will My Case Take? Most medical malpractice cases in Pennsylvania take about 2 to 3 years to effectively prosecute to trial. It takes about 3-6 months to file the complaint and have the defendants file their answer. Discovery usually takes 12-18 months and then it takes another 6 months to have the case listed for trial. These are of course estimates, and each case is unique depending upon the complexity of the case. Be careful about lawyers extending the case for longer than it needs to be. Many lawyers are eager to sign clients, but are not as eager to push the case forward as efficiently as possible. When our offices are retained, we work hard to either settle the case or move the case forward as quickly as possible to trial. Question 13: Do I Actually Have To Go To A Trial? Not always. However, you should never file a lawsuit if you are not prepared to pursue the matter all the way through trial. If the defendants believe you do not want to go through a trial, then they most likely will not have an interest in settling. The best settlements are received when the defendants understand that the plaintiffs are ready and prepared to go to trial. Each case is of course unique, and we constantly analyze the interests of settlement versus going to trial so that the client can recover the most money in their pocket. Question 14: Do I Pay The Costs? There is no risk of clients having to pay out of pocket expenses in a medical malpractice case. However, clients are responsible for reimbursing the law firm out of their portion of the recovery for any monies advanced. We routinely update our clients of any costs advanced so that they are aware of the costs at all times. We also try to be efficient in costs and not incur unreasonable expenses. Question 15: How Much Is My Case Worth? The hardest single question for any lawyer is telling their client how much their case is worth? and/or reduction in the likelihood of marriage. Pain and suffering is different with every jury. Also, how reckless the medical error is, can have a direct impact on the financial award or settlement. The true value of any medical malpractice claim can only be determined after thoroughly analyzing the liability, the defendants, and a full understanding of the injuries. This also includes understanding the plaintiff’s background, life and family. We work hard to inform our clients of expectations based upon our thorough review, past experiences and personal relationships with our clients. Question 16: What Is The Pennsylvania ‘Certificate of Merit’? The certificate of merit is a statement from another doctor agreeing that there was negligence. In 2003, the Pennsylvania State Supreme Court approved a new rule requiring attorneys to obtain a “certificate of merit” from a medical professional establishing that there was a violation of the standard of care. What this means is that in order to proceed in medical malpractice cases now, lawyers must have a written statement from another doctor, in the same or similar field of medicine, opining that there was negligence. A lawyer failing to obtain the certificate of merit cannot bring a case to trial. Certificates of merit must be obtained within sixty (60) days of the filing of the complaint. If a certificate of merit is not filed, the case can be dismissed and judgment may be entered in favor of the defendants. Anyone considering filing a medical malpractice case in Pennsylvania needs to understand the critical importance of the certificate of merit and having a statement from another doctor agreeing that there was negligence in this specific situation. Question 17: What Is Your Past Experience? 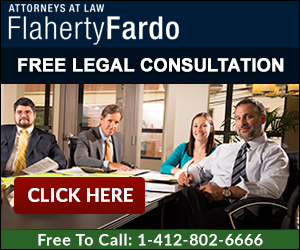 For over 15 years, Flaherty Fardo has helped injured victims of medical malpractice claims recover money for their injuries. Our efforts have helped victims in cases involving surgical errors, emergency room mistakes, misdiagnosis, failure to diagnose and lack of informed consent claims. We have received numerous settlements and/or verdicts in Allegheny County and surrounding counties including, Washington County, Westmoreland County, Elk County, Fayette County, and Clearfield County, Pennsylvania. Medical malpractice claims are some of the most difficult cases to pursue, both because of the actual time and financial resources necessary to challenge some of the largest healthcare organizations in the state of Pennsylvania. We believe our success in prosecuting malpractice claims is a direct result of our work ethic and recognition of the importance of our client’s claims. Question 18: Do You Have Doctors On Retainer? Flaherty Fardo, LLC has a distinct advantage over many other law firms by having immediate and unfettered access to board certified physicians to review cases and to help with the prosecution of medical malpractice actions when negligence exists. Our law firm is proud to have both Dr. Barbara E. Fardo and Dr. Dean J. Fardo, on retainer to fully evaluate our potential medical malpractice cases. Both doctors are board certified physicians and operate their own medical practices respectively. Our physicians on retainer will regularly speak to our lawyers about cases, review medical records, review deposition transcripts, and speak directly to clients when warranted. Having access to skilled physicians greatly assists both in preparation for defendant doctor depositions as well as in preparation for actual trial. Question 19: Why Flaherty Fardo? Choosing the right medical malpractice attorney is crucial. What we offer is experienced, aggressive representation with client’s interests as our primary concern. We believe that recovering monies for victims of medical malpractice can affect our clients for the rest of their lives. We take that responsibility seriously and only commit to cases we are determined to win. We believe we offer three advantages. We have physicians on retainer. Having unfettered access to doctors is essential in prosecuting these cases. We have significant experience. We have successfully handled multiple kinds of malpractice cases including surgical errors, hospital errors, misdiagnosis, and informed consent cases. We have recovered monies for clients in over 5 different counties throughout western Pennsylvania. We provide unique personal attention. We are accessible and our clients should never have to ask about the status of their case.